Get a look at the idea behind LASCO and the goal of providing a superior product made in the U.S, crafted by true footwear makers. Some years ago, as many as 18,000 Americans made their everyday living working at US-based shoe factories across the country. 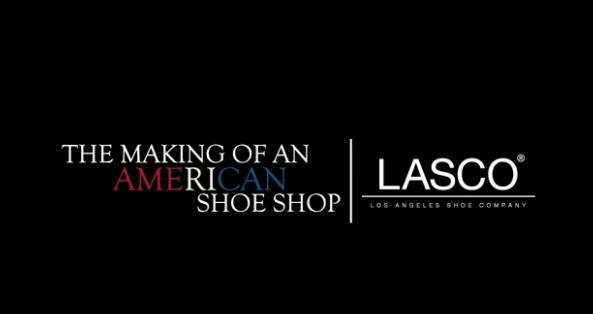 Now with only about six remaining in the entire country, Los Angeles-based LASCO ( Los Angeles Shoe Company) is looking to give us that All-American feel again with their all-new collection of handcrafted footwear. With everything from the premium leathers to the laces used by LASCO domestically sourced, LASCO is the true definition of All-American footwear. In the video featured, we get a look at the idea behind LASCO and the goal of providing a superior product made in the U.S, crafted by true footwear makers. Get familar with LASCO for yourself, and be sure to keep up with Sole Collector for future releases from the Los Angeles Footwear Company.